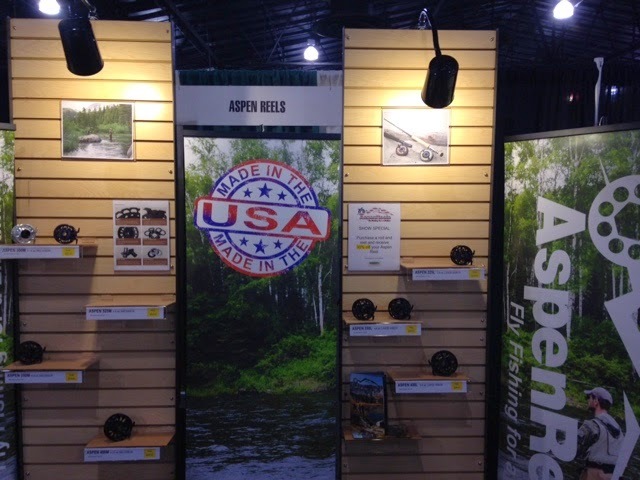 The 2015 Denver Fly Fishing Show featured great gear, fly fishing clinics, and a chance to visit with friends. As loyal readers of this website know, I enjoy checking out new fly fishing gear. Here are a few items that caught my attention. 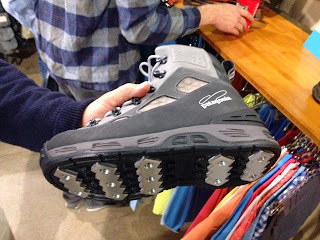 During the show, I spent some time looking at new Patagonia Fly Fishing gear and clothes. I'm a big fan of the Nano Puff that I often wear while fishing in the cold, and enjoyed checking out the Nano Puff Air that they had in the booth. They told me that the Nano Puff Air increases breathablity , and is a great outer layer when you are engaged in strenuous activity such as a long hike into the river. They also released a boot called the Foot Tractor that I examined. They have changed the pattern of the aluminum bars on the bottom of the boot, and it looks like a great improvement over past models. 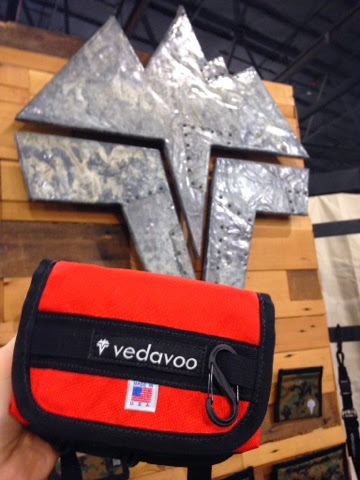 Fishpond makes some very innovative products, including the new Delta Sling Pack. The pack has quite a few interesting features, including a pistol holster for those fishing trips deep in Grizzly Country. I spent some time with the fellows at the Scott Fly Rod booth casting the new Tidal saltwater rod series. 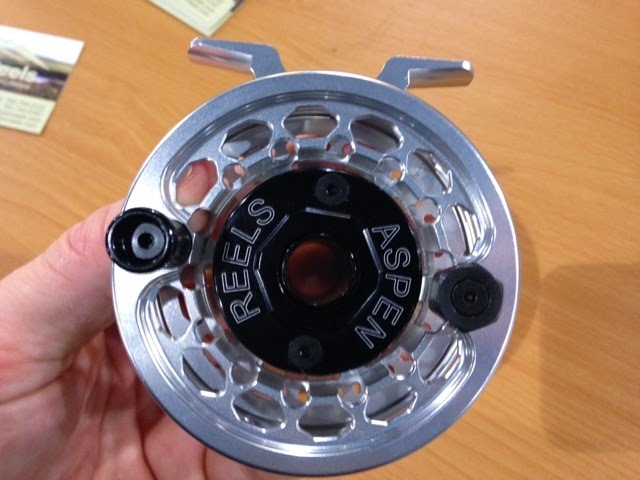 The rod casts very smoothly, and in typical Scott fashion, the unsanded blanks and quality components make for a unique looking and well made rod. The price point is also quite reasonable for a fast action premium saltwater fly rod. 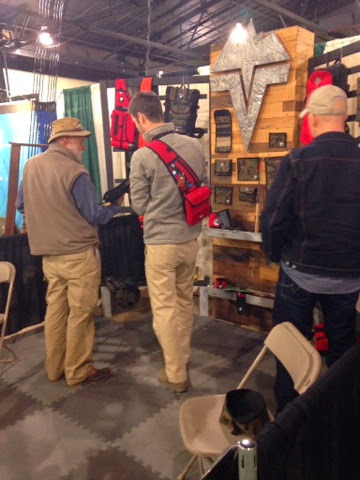 I'm a fan of the Umpqua professional guide fly boxes, and stopped by their booth. They have a lot of new products, but a couple that caught my eye were the Steamboat sling, and the Tailgater Organizer. Hey Mike, thanks for covering everything that I didn't. Sorry I missed you this year. Thanks Howard! I'm also sorry that we missed each other at the show. 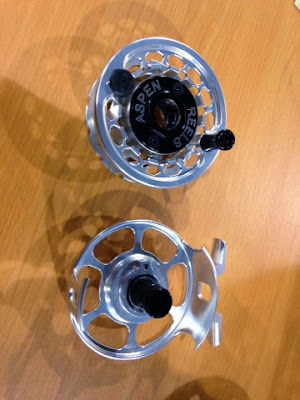 If you are big fish hunter then you definitely need the best equipment and gear for the fishing, but if you don’t know the best place for buying the best fishing gear and equipment for hunting then this https://www.buyfishingguide.com/best-spinning-reels-under-100-dollar/ can help you a lot to get the best fishing gear for you. Nice post Mike! Very informative and some great new products. Vedavoo ROCKS! Thanks for shouting out for Scott. Gonna share an interview I did with him soon. Tightlines and thanks for turning me onto the Nano!